Published bi-weekly, Tire Business provides relevant news, trends, reports & rankings for independent tire dealers including wholesalers and retreaders. By submitting this content request, I have legitimate interest in the content and agree that Crain Communications, Inc, their partners, and the creators of any other content I have selected may contact me regarding news, products, and services that may be of interest to me. I prefer not to receive information by mail from other companies not affiliated with Tire Business. Do you wish to receive a FREE subscription to Tire Business? Does your company retread at this location? Do you sell wholesale tires at this location? In lieu of a signature, Crain Communications, Inc requires a personal identifying question. What State Were You Born In? 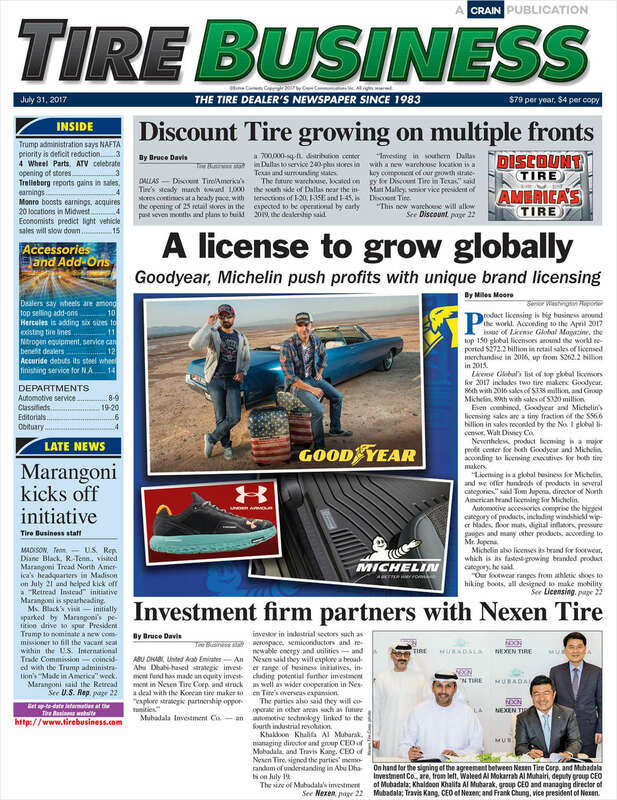 Tire Business Daily NewsMail daily email alert delivers the day's headlines for independent tire dealers! Service Zone bi-weekly e-newsletter that offers the latest news and money-saving tips for auto repair industry professionals!